Whereas President Muhammadu Buhari commissioned new Cancer Centre attached to the Lagos University Teaching Hospital (LUTH) during the weekend presidential campaign rally in Lagos, more facts have emerged on why many Nigerian politically exposed persons (PEPs) usually rush abroad for life-threatening medical conditions. Currently, a legal action capable of embarrassing the lead National Hospital Abuja (NHA) is loading following the death of a 17-year-old son of Mr. Judy Akpala, Paul Kelechi Akpala Jnr. In an emotion-laden petition currently going viral on social media by the deceased father, he disclosed that his son who had an accident only had fractured legs and abrasions, but was given an injection to make him less conscious. According to him, checks carried outside the NHA due to failure of critical equipments revealed that pulmonary embolism was the cause of death four (4) days after the accident. Apkala decried further that “National Hospital Abuja (NHA) was rather treating him for possible internal head injuries. Every second counted. He fought for his life. NHA did nothing to save his life in the most critical hours. Their MRI, CT Scan and X-ray machines in a supposed world class Trauma Intensive Care Unit (TICU) were not working. “Their ventilator battery could not reliably take us to another facility to perform the scans that could have saved his life. “Paul Kelechi Akpala was my first son. A promising and extremely loving and gentle 17-year-old boy. “In pursuit of a better future, Junior (as he was fondly called) had on Wednesday January 23rd, 2019, set out to attend an interview for admission into a Canadian University. “He was a 2nd year student of Computer Science at the University of Calabar but thought to explore the opportunity of a scholarship abroad. “After the interview, at about past 3pm my son had rung me to say the interview was successful and that he was on his way home. That was the last I heard from my son. 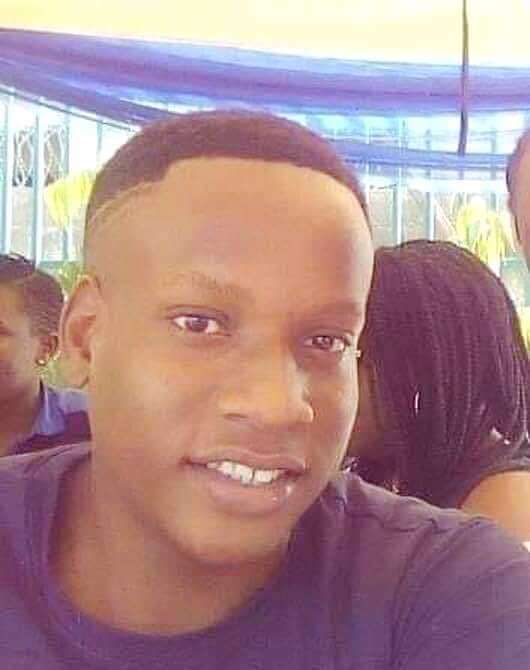 “We barely slept that Wednesday night, looking all over for him, making calls and visiting police stations for any information on my son’s whereabouts. I gave all the information I could give about him and my last communication with him all to no avail. The police told us he had to be missing for 24 hours before they could make any move. “By Thursday morning, January 24, 2019, we got a phone call informing us that my son was hit by a car in Berger, Abuja while trying to cross the freeway and was in National Hospital Abuja (NHA). “We rushed to NHA and found him in the TICU. He was put on a life support machine. The doctors and nurses told us he was unconscious, and they were waiting for him to come out of it. Junior had some abrasions and his legs were bandaged. “I went to the resuscitation room and saw a few prescriptions. There were CT Scan, Fast and X-ray requests. We asked if the scans had been performed but were informed that the 3 CT scan machines in the hospital were not working and the x-ray machine in the TICU was also not working. For this reason, nothing had been done on my son. “He was being pumped with antibiotics and was presumed to not have any internal injuries. “By Friday January 25, 2019, we became increasingly worried about the fact that no scans had been done so we began to make enquiry about how to get him to a facility that had those machines. We were informed that the scans could be done at Lifebridge in Garki, Abuja. “We told the hospital we were making plans to move him to Lifebridge for the scans. They told us that the ventilator battery was weak and will not last the distance. We told them we were willing to buy another battery for the hospital, they said we would require management approval and that the battery was imported from Germany. “When we insisted that something needed to be done, they brought another ventilator machine that was leaking gas, they fixed it and we were able to move him to Lifebridge on Saturday morning, January 26, 2019. “The tests and scans were done and revealed that my son did not have any head or spine injury, all results were good, the brain was normal, no spinal cord injury, no heart injury, the ribs were ok. Pulmonary fat embolism was detected. “Lifebridge saw the emergency and was ready to perform surgery on him but the accompanying nurses from the NHA refused. They said agreeing to that could cost them their jobs, that he would be moved back to NHA and the surgery will be performed immediately. ”When we got to NHA, he was rolled into the theatre and less than 10 mins later, Junior died. “Junior was being treated for head injury which he did not have. They gave us false hope, assuring us he would come out of unconsciousness, he was fighting for his life, every second counted but NHA did nothing in the hours that were most critical. The best quality of every single thing that was required of us was given to them yet they never performed any test. We were the ones looking for solutions to their ineptitude. “If the scans were working, the fat and blood accumulating in the lungs would have been discovered. The same surgery that they claimed to want to perform in his dying minutes could have been done and dusted a few hours after he got to the NHA. “He did not get to the hospital unconscious. He was the one who told them his name. we were informed by the man who took him to the hospital that Paul spoke out his name. The hospital informed us that they gave him injections to make him less conscious because his reflexes were sharp and reactive. “If all that needed to have been done was done within the first 24 hours, my son may not have died. “When you lose a loved one, you want to be sure that all that needed to have been done was done but this was not the case with Junior. “Did NHA do all they could to keep him alive? NO! We rather had a doctor walk up to us in the morning of Saturday January 26, 2019 to say my son had 48 hours to live. What did that mean? What did they do before the countdown to the 48 hours? NOTHING! We were rather faced with an arrogant nurse who said to me on that same Saturday morning “your son has brain injury, don’t teach me my job, just pray for your son and leave the TICU”. “The doctors and nurses seemed clueless. “People asked, WHY NHA? The driver who hit him thought of the proximity of Berger to the hospital. He said he was also aware that referrals go to NHA and assumed he will get the best care there. This was indeed an illusion as not one equipment was reliably functional in a supposed trauma center. “My son Paul Kelechi Akpala Jnr is gone but we need to save the next Paul. “National Hospital Abuja is a DEATH TRAP. Dr. Jaf Momoh and the entire management team are CANNIBALS. How can you be the biggest hospital in Nigeria’s Capital City and none of your critical equipment are functioning? How much can you do with your bare hands to save lives? Even with relying on the “God factor” you must make the necessary moves. “Dr. Jaf Momoh tell us why the NHA is so unreliable. “Why are your equipment not functioning? If they were, my son may not have died and if he did, we would have been able to say you did all you could to save him but NO, you didn’t. “NHA needs to be investigated. The Medical and Dental Council needs to investigate the National Hospital and all the allegations of their ineptitude, negligence, wrong diagnosis, faulty equipment, favoritism, bribery for blood and bed space amongst others. “These investigations should be done on a case by case basis. “We need your support. Everyone who falls into this category and can boldly attribute the cause of death of their loved ones to the ineptitude of NHA should stand with us. “Broadcast this story to the highest heights. Tell your own story as well. Something must be done. “We must get not just answers but solutions. According to the father of departed promising boy, “This is our own little quota towards saving the next Junior”.